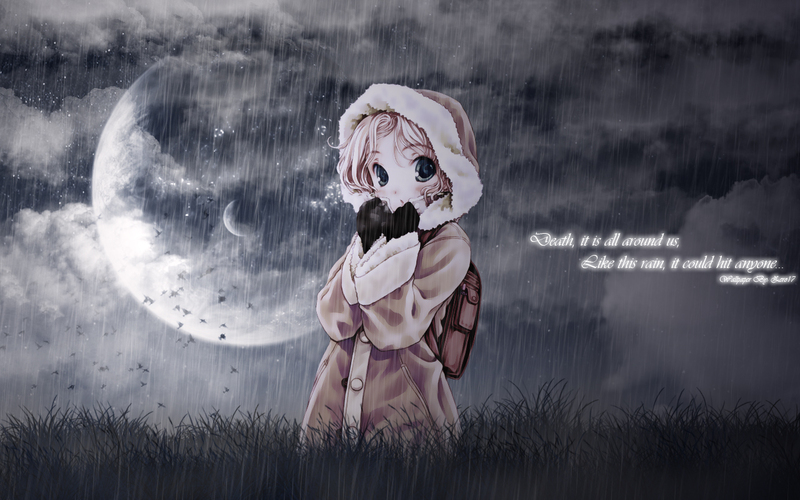 Hello again well this one was not intended for a wallie i was just checking this new rain brushes i got but i liked it so here it is and i hope u guys like it too. BTW quote is from gungrave it doesn't go exactly like that but it gives the message LOL. Nice colours and also I like the light around her.